ATLANTA (AP) — Far from reversing course, Senate Democrats who backed President Barack Obama's health care law and now face re-election in GOP-leaning states are reaffirming up their support for the overhaul even as Republicans intensify their criticism. Mark Begich of Alaska, Mark Pryor of Arkansas, Mary Landrieu of Louisiana and Kay Hagan of North Carolina will face voters in 2014 for the first time since voting for the Affordable Care Act — also known as "Obamacare" — three years ago. They aren't apologizing for their vote, and several are pursuing an aggressive strategy: Embrace the law, help voters use it and fix what doesn't work. 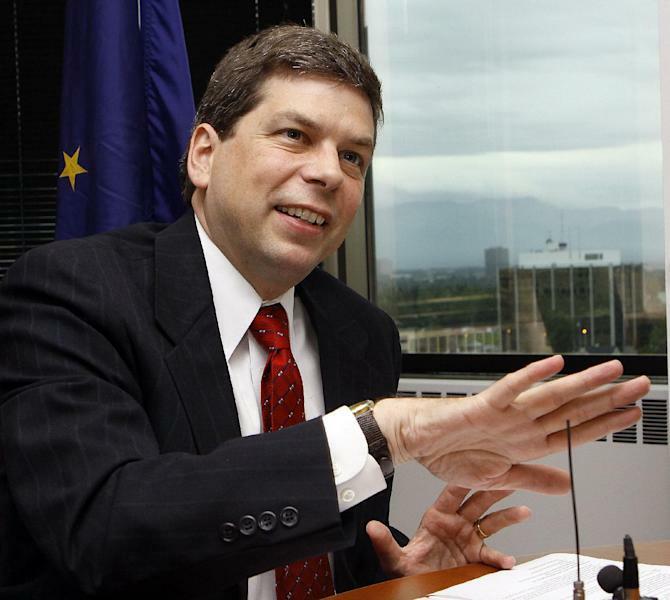 "I don't run from my votes," Begich told The Associated Press. "Politicians who sit around and say, 'That's controversial so I better run from it,' just ask for trouble. Voters may not always agree with you, but they respect people who think about these issues and talk about them." That means, Begich said, reminding voters that as a candidate in 2008 he called for prohibiting insurers from denying coverage based on existing health problems, ending lifetime coverage limits and making it easier for workers to leave a job and still have insurance, an option they'll have under new exchanges that consumers can begin using to buy individual policies this fall. "There's a lot of good that people will realize as this all comes online," the first-term senator said. Republicans argue just the opposite — that there's a lot of bad in the sweeping law. More than a year before the elections, they use the law to pummel the four Democrats, three of them from the conservative South and all from states that Republican Mitt Romney carried last fall. Begich highlighted that Senate Democrats have voted to repeal parts of the law: paperwork for businesses and a tax on medical equipment. And he promised aggressive outreach to help constituents use the exchanges and other consumer benefits. 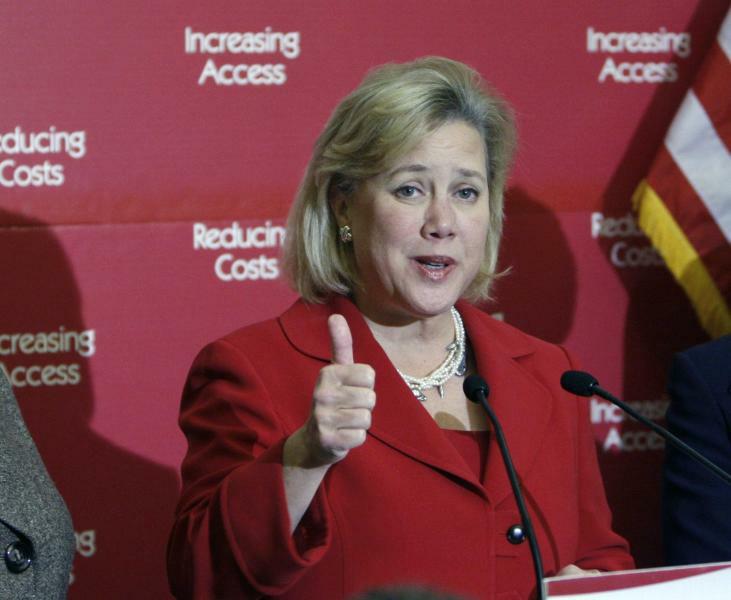 Landrieu has gone on the offensive, too, criticizing Louisiana Gov. Bobby Jindal and her state's Legislature for refusing federal money to broaden Medicaid insurance for more low-income Americans. Along with the exchanges, the optional Medicaid expansion anchors the law's insurance coverage extension. With those contentious parts slated to begin next year, Obama's signature legislative achievement is all but certain to be central in the 2014 midterm campaign as Republicans look to hang onto power in the House and gain the six seats they need to win control of the Senate for the final two years of the Democratic president's second term. A Republican-aligned outside group already has aired a TV ad in Arkansas deriding Pryor as "the deciding vote for Obamacare" — a label Republicans can apply to any Democrat since the bill passed with the exact number of votes necessary to avoid a GOP filibuster. 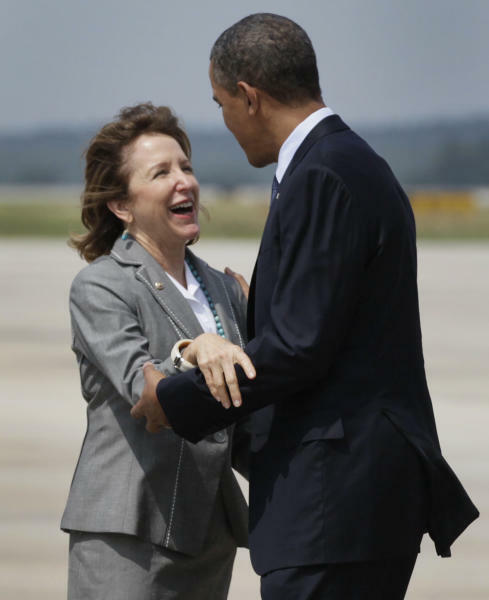 The North Carolina GOP regularly hammers Hagan on her choice. And Louisiana Republicans recently tried to link Landrieu to comments from the state Democratic Party chairwoman, who suggested that opposition to Obama's law stems from the fact the president is black. Initially, the law's 2010 passage roused tea party activists, who propelled Republicans to a House majority and Senate gains that fall. The lagging economy and anger over bank rescues, stimulus spending and budget deficits also played a role. Reprising the health care critique as part of their 2012 strategy, Republicans couldn't replicate their success: Obama defeated Romney decisively, and every Senate Democrat who voted for the health care law won re-election. Public support for the law as a whole has never consistently reached a majority, according to most polls; opposition in Romney-won states exceeds 50 percent. Yet many individual provisions already in effect, like those Begich mentioned, have more support in polls. The GOP bets that voters' displeasure will intensify in 2014 as more provisions take hold. Besides exchanges and Medicaid enlargement, businesses with at least 50 full-time employees will have to provide insurance coverage and state insurance regulators will enforce coverage minimums. Many market analysts predict premium increases for individual policies. "It's not accidental that President Obama scheduled the most popular provisions to be in effect for his election year," argued Brad Dayspring, a spokesman for the national GOP's Senate campaign arm. "He's left a lot of 2014 Democrats hanging out to dry with the unpopular provisions." Democrats say Republicans need Obama's health care overhaul only to rally their core supporters, who are particularly important in midterm elections in which the electorate typically is older, whiter and more conservative. Dayspring said the issue wins independents. John Anzalone, a Democratic campaign consultant and pollster, retorted: "What happens when the boogeyman that's promised never comes?" Anzalone, who counts Hagan among his politician clients, said the best counter for vulnerable Democratic incumbents is to use their office actively to help constituents take advantage of the law. House Democratic leader Nancy Pelosi outlined the same approach in a 78-page memo to her caucus members last month. Democrats also argue that Republicans ignore their own vulnerabilities and individual state dynamics that could complicate a GOP effort to run a national campaign. The law, Begich notes, established long-term coverage plans for Native Americans. "That's important to Alaska" and lingered in Congress for two decades before finding a place in the act, he said. Landrieu can point to bonus payments she negotiated for Louisiana's Medicaid program to make up for money lost because of several hurricanes. Conservative commentators mocked the arrangement as the "Louisiana Purchase," but Jindal, who asked for the extra money, gladly used it to balance Louisiana's budget in multiple fiscal years. Hagan and her North Carolina colleagues paid special attention to pharmaceutical companies that develop drugs called "biologics." They negotiated 12-year monopolies for those drugs, a win for the biomedical sector that dominates the "Research Triangle" around Raleigh. Veteran North Carolina political observer Gary Pearce, a Democrat, said Hagan also could benefit from the fact that leading GOP candidates expected to challenge her come from the new legislative supermajorities that have pursued a long list of conservative priorities, including rejecting Medicaid expansion that North Carolina hospitals wanted. A Republican primary fight among top statehouse Republicans, Pearce said, could leave Hagan "in a good position to paint Republicans in a right-wing corner." In Louisiana, the GOP may find its health care expert in Rep. Bill Cassidy, who spent several decades as a hospital physician in Baton Rouge and has served among leading GOP congressional critics of the law. But as a congressman, Cassidy voted with his caucus to repeal the law in full more than three dozen times. Justin Barasky, Senate Democrats' campaign spokesman, said those votes give Democrats fodder to argue that the GOP candidate sided with big insurance companies. The same scenario could apply in Arkansas if Rep. Tom Cotton, who's expected to run, ends up as GOP nominee. Landrieu also can use Jindal as a GOP counter on health care. Now chairman of the Republican Governors Association, Jindal has dismantled the state hospital system that Louisiana State University runs, closing some facilities and contracting with private firms to run others. Voters have not embraced the changes. Arkansas Republican strategist Alice Stewart acknowledged that her party has had only mixed success using health care as a national issue, but she said Pryor's eventual GOP opponent can make it resonate. "It's not just a generic criticism of Obamacare," she said. "This is part of explaining that Mark Pryor goes to Washington and doesn't represent the values of this conservative state." She recalled then-Rep. John Boozman ousting Sen. Blanche Lincoln in 2010 after her vote for the law. "Voters here remember that going from Blanche to Sen. Boozman was an important step," Stewart said. "Mark's in the same boat."